The House of Ideas is party central this April. The Secret Avengers get exposed, Thor and Cap face of for better billing, and Fear Itself sees the Red Skull's daughter make the world shiver in her father's name. In amongst all the crazy hot covers showing up at the door, these four look set to burn the house down - in all the right ways. 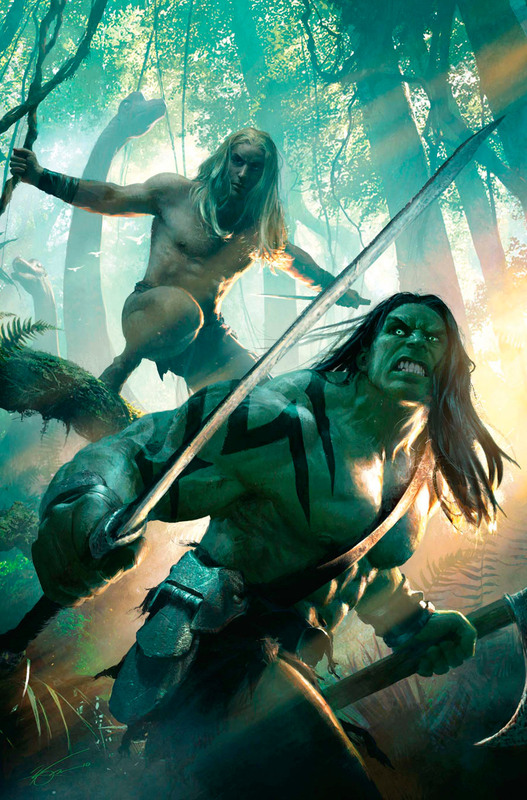 COVER OF THE MONTH: Skaar: King Of The Savage Land #1 - Michael Komarck If the portal to the Marvel U ever showed up, first thing I would do is hotwire a Quinjet and head to the Savage Land - it's the coolest spot there is! CLOSE CONTENDERS: Dave Johnson - Punisher Max #12, Dave Johnson (boy is this guy good!) 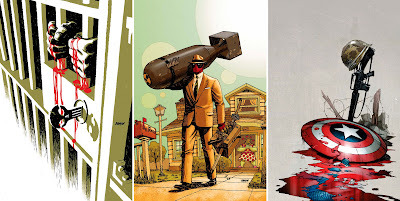 Deadpool #36, and Ron Garney - Ultimate Comics Captain America #4 (of 4). More Marvel madness after the jump.